What is the way forward for those of us who care about the future of the American Jewish community? But you would never know it in San Diego last month (mid-December) at the biannual convention of the Reform movement. I was with some 5000 Reform Jews, and the spirit was something to behold. The theme of the gathering was “”Meet-Pray-Learn” and that is exactly what we did, with gusto. I promised to write about some positive lessons in subsequent columns, so let me reflect on the Biennial experience to talk about what is right with our community rather than what is wrong. Let’s start with engaging our youth, and talk about one small step that can be a difference maker. A modest proposal, not a panacea… but one within that is realistic and attainable for the majority of American Jewish families. One of the most moving aspects of the convention was the enthusiastic participation of hundreds of high school age youth. How is it that these young people are so connected? I asked… and the common denominator seems to be, interestingly enough… a great Jewish summer camp experience. Specifically, these youth pointed to the Reform movement camps like Camp Eisner in Great Barrington and Camp Harlam in the Poconos. It seems that a memorable summer camp experience is the gateway to involvement in Jewish youth group (NFTY). NFTY leads to Hillel. Hillel leads to study abroad in Israel. Israel leads to young leadership roles and a lasting connection to the Jewish community. For so many of the young adults I talked to, it all starts with an exceptional Jewish experience as a teen. Jewish summer camp seems to be the ticket. Dollar for dollar it may be the best investment in the Jewish future you can make for your children or grandchildren. And to compete with all the summer alternatives, the Reform movement recently opened an elite Jewish sports camp and just announced the opening of a select Jewish science camp. So how about an unforgettable Jewish summer for our children? Why not a community-wide “Junior Birthright” program that offers a month at camp as a prelude to a week in Israel? We need to invest in experiences that are memorable and transformational. It’s one small step for a Jewish family; one giant leap for the Jewish people. Audacious Hospitality… This is the new phrase of Reform Judaism. And I will use it to describe the six days, which I spent in San Diego along with about 5,000 others at the Union for Reform Judaism‘s/Women of Reform Judaism’s 2013 Biennial. Audacious comes from the word "audacity," which the dictionary defines as bold, daring, and courage. This is what I am bringing back to my synagogue and to my personal/ professional life. What is the Biennial? Every two years, the URJ/WRJ gathers together thousands of Reform Jews – lay leaders, synagogue professionals, clergy, entertainers, NFTYites, and more – to connect and reconnect, pray, learn, network, and grasp the movement of the Reform Movement. I admit that I am a convention junkie. I love attending conventions for professional development and rejuvenating much needed energy. In 2009 and 2011, I attended my first and second Biennials in Toronto and Washington, D.C., respectively. The experiences were unforgettable as my mind exploded with the excitement and spirit–the ruach–of the Movement. The week in San Diego, I felt that same ruach. I participated in the most exciting, stimulating, thought-provoking, and innovative programming and prayer I look forward to at each Biennial. I love the over-stimulation and fast tempo at Biennial. There are so many people and so many things happening simultaneously. You are constantly running into people you have not seen in years, or since the last Biennial or in decades. You want to catch up, but you also want to make it to a session, maybe two or three at the same time! The programming is overwhelming in the best way possible; there are hundreds of sessions to attend. The exhibits, vendors, and Kikar-Resource Row are another piece that makes “fear of missing out” exciting to some people because, truly, there is just so much going on. Being encouraged by motivational speeches from Rabbi Rick Jacobs, PM Benjamin Netanyahu, Lynn Magid Lazar and Blair Marks to bring audacious hospitality to every Reform synagogue by inclusion, shalom bayit, new leadership models, and thinking outside the box. Biennial Shabbat is an experience like no other that features boldness, daringness, and courage. Friday night worship was a stunningly beautiful service led by the clergy team of Rabbi Joel Sisenwine, Cantor Jodi Sufrin, Rabbi Rachel Saphire, and Noah Aronson (student Rabbi/composer) of Temple Beth Elohim, Wellesley, MA and the Biennial Choir. Following dinner with 5,000 of your closest friends came the most spectacular one-hour song session featuring our cantors and songleaders led by Biennial Music Director, Josh Nelson. to the WRJ International Board. After an engaging Shabbat Torah study with Rabbi Rachel Sabath Beit-Halachmi, National Director of Recruitment and President Scholar at HUC-JIR, what followed was hands-down the most creative and exceptional Shabbat and Torah service of all time. Led by Rabbi Rick Jacobs, Cantor Angela Buchdahl of Central Synagogue, Movement specialist, Liz Lerman, Amichai Lau-Lavie of Storahtelling and Lab/Shul and the Biennial Choir incorporated exquisite music and readings to the service. 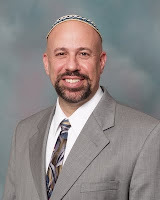 What made the Torah service so amazing? It was bold, daring, and courageous. It was creative, it was fun, it was engaging, and it had serious depth. The best way I can describe it: thirteen platforms were set up around the giant plenary hall. Each platform served as a bimah, and those who had been asked to stand there (representatives from 13 URJ organizations) had a Torah with them on their bimah. The 5,000-person plenary chanted the Torah blessings together, and then each platform had a reader who read for each separate aliyah within earshot of their section. It gave me chills. It was beautiful. Moreover, it was interspersed with stellar “sTorah-telling,” a particular highlight being Shira Kline as the biblical character Dinah. It reinforced, so very much, all that is possible when we think outside the box. With my friend, Josh Nelson, singer/songwriter and Biennial Music Director. After a moving WRJ Installation ceremony, the concluding Saturday night plenary was the most incredible opportunity to observe an event honoring 100 years of the Women of Reform Judaism and celebrating 75 years of NFTY. The program was a celebration of amazing female musicians, role models, educators, and social activists. It honored Anat Hoffman, the bold and daring director of IRAC, and it blessed the generations of old and new in sweeping musical tributes. To end the final evening, Josh Nelson and Neshama Carlebach treated us to a late-night concert that could have gone on all night. We recently prepared a dinner and then served it to people at the shelter in Hackensack, officially known as the Housing, Health & Human Service Center. There were approximately 25 of our families involved through cooking, setting up, serving, cleaning up and/or donating needed funds. In many instances, more than one person per household participated. Now that's what I call social action the Adas Emuno way!! The date we had was just around Christmas, so we made a holiday dinner of turkey, 11 of them, with all the trimmings. We included a bit of holiday decor, including paper goods and festive cookies and lots of smiles! 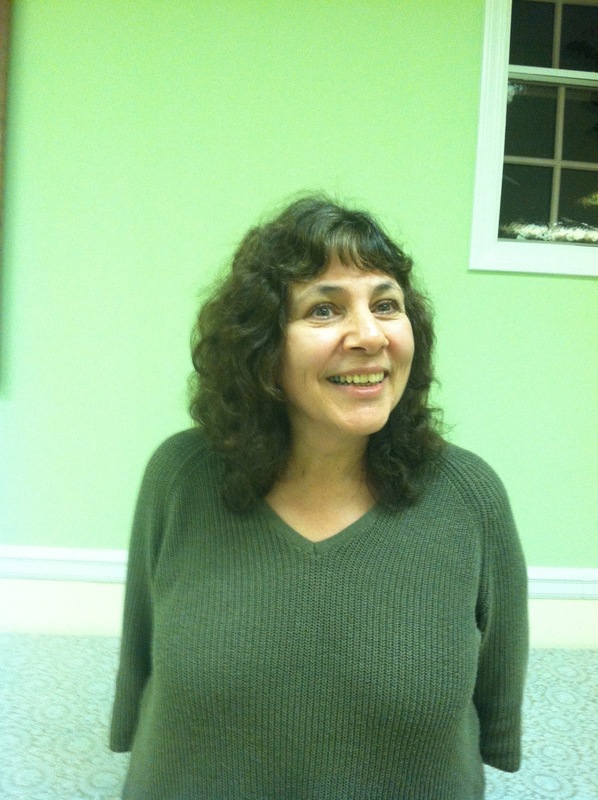 Marilyn Katz is our contact person with Family Promise. Thanks, Marilyn, for keeping us connected! Richard Alicchio is our "unofficial" PR person as well as fundraiser. Thank you for all you do! To all who made monetary donations, a special thank-you. It often takes money to help others and we are very grateful for your generosity. Please check out the names of these families on the "Donations" page of the January issue of Kadima. Our cooks deserve to be called chefs! The food looked especially appetizing and judging by the compliments, it was delicious! It was served with smiles, respect and "heart". And I do believe we left the kitchen even cleaner than it had been (which was very clean); lots of Adas Emuno pride, there! Rabbi Barry Schwartz, Debby Schwartz, Aaron Fischer, Lauren Rowland, Cheryl & Richard Alicchio, Doris White, Maren & Fred Friedman, Rachel Capote, Marilyn Katz, Mari Yamasaki, Fanny & Michael Fishbein, Randi Irby, Sandra Jonas, Joan & Richard Klein, Linda Kowalski, Claudia Portnoy, Kate Scooler, Carol & Jerry Bodian. Back at the temple, we are still collecting food for the Center for Food Action and soda can tabs for the Ronald McDonald House. Also, watch for details about a Blood Drive which will be held on Sunday, March 30. 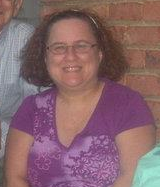 This event will be coordinated once again by Emma Schuller and her mom, Zina. A happy and healthy 2014 to all!! No, it's not a game of where's waldo or waldbaum or whatever, but can you find the familiar face in this crowd of great Jewish learning? Yes, it's our very own Rabbi Schwartz, in the center on the bottom row, but you found him already, so good job! 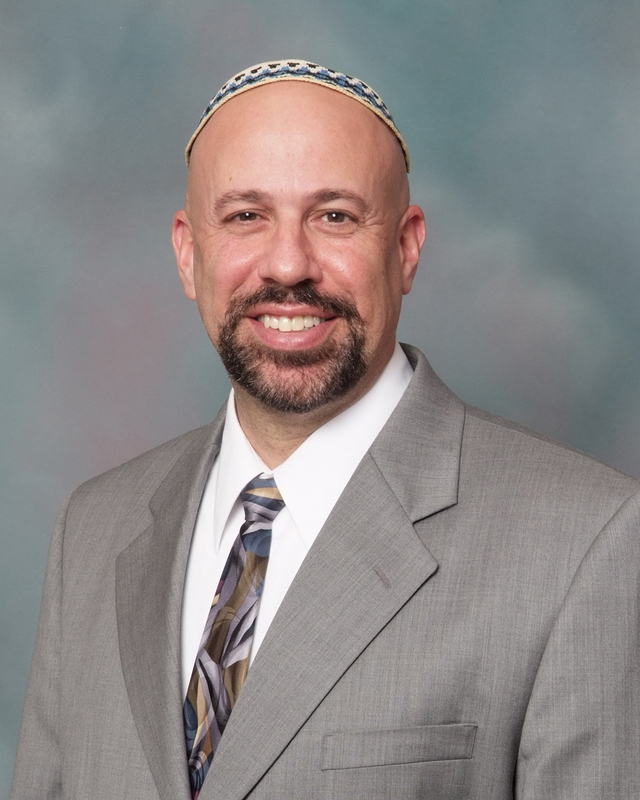 And once more he will be participating in Sweet Tastes of Torah this Saturday evening, where he'll be talking about the spirituality of the desert (as in the Sinai, but there will also be desserts served, don't worry). And there will be many other interesting programs to choose from, with preregistration (by the 29th) at only $18 per person (such a deal! ), and if you miss that, just $5 more to pay at the door. And it's all happening over in Fair Lawn, so you don't have to leave Bergen County, and it's not too far from us here in Leonia. 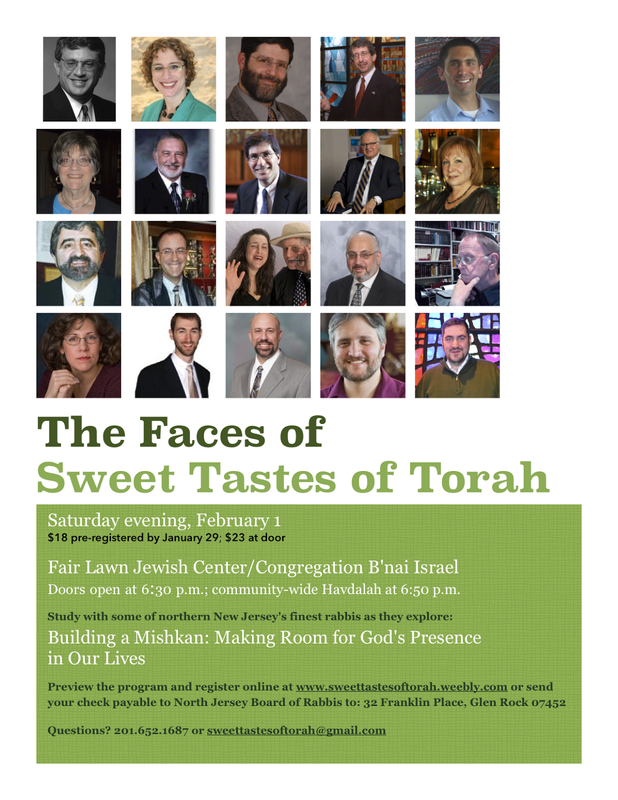 Just click on the link to check it all out at Sweet Tastes of Torah. Join us this Sunday at 10 AM in the Adas Emuno Social Hall for Hannah Arendt on Eichmann in Jerusalem: A Screening and Discussion. 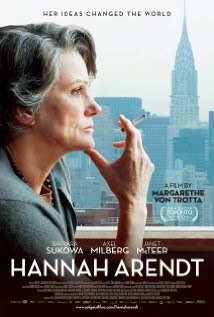 This Adult Education event will feature a screening of Hannah Arendt, a recently released film directed by Margarethe von Trotta. Arendt, a German-Jewish philosopher and political theorist, is considered one of the leading intellectuals of the 20th century, and this biographical film focuses on the period in her life when she reported for The New Yorker on the war crimes trial of Adolf Eichmann. Dr. Lance Strate of Fordham University, who is a regular guest blogger for the Hannah Arendt Center at Bard College (as well as President of Adas Emuno), will provide an introduction to this full-length film, which is in English, German, Hebrew, and French (with subtitles), and lead a discussion on its controversial subject-matter following the screening. "Seen from the perspective of the "real" world, the laboratory is the anticipation of a changed environment." I find this quote intriguing in that its reference to environments and environmental change speak to the fact that Arendt's philosophy was essentially an ecological one, indeed one that is profoundly media ecological. The quote appears in a section of The Life of the Mind entitled "Science and Common Sense," in which Arendt argues that the practice of science is quite distinct from thinking as a philosophical activity. Thinking, no doubt, plays an enormous role in every scientific enterprise, but it is a role of a means to an end; the end is determined by a decision about what is worthwhile knowing, and this decision cannot be scientific. Here Arendt invokes a variation on Gödel's incompleteness theorem in mathematics, noting that science cannot justify itself on scientific grounds, but rather must somehow depend on something outside of and beyond itself. Perhaps more to the point, science, especially as associated with empiricism, cannot be divorced from concrete reality, and does not function only in the abstract realm of ideas that Plato insisted was the only true reality. The transformation of truth into mere verity results primarily from the fact that the scientist remains bound to the common sense by which we find our bearings in a world of appearances. Thinking withdraws radically and for its own sake from this world and its evidential nature, whereas science profits from a possible withdrawal for the sake of specific results. It is certainly the case that scientific truth is always contingent, tentative, open to refutation, as Karl Popper explained. Scientific truth is never absolute, never anything more than a map of some other territory, a map that needs to be continually tested and reviewed, updated and revised, as Alfred Korzybski explained by way of establishing his discipline of general semantics. Even the so-called laws of nature and physics need not be considered immutable, but may be subject to change and evolution, as Lee Smolin argues in his insightful book, Time Reborn. Scientists are engaged in the process of abstracting, insofar as they take the data gained by empirical investigation and make generalizations in the form of theories and hypotheses, but this process of induction cannot be divorced from concrete reality, from the world of appearances. Science may be used to test, challenge, and displace common sense, but it operates on the same level, as a distilled form of common sense, rather than something qualitatively different, a status Arendt reserves for the special activity of thinking associated with philosophy. Arendt goes on to argue that both common sense and scientific speculation lack "the safeguards inherent in sheer thinking, namely thinking's critical capacity." This includes the capacity for moral judgment, which became horrifically evident by the ways in which Nazi Germany used science to justify its genocidal policies and actions. Auschwitz did not represent a retrieval of tribal violence, but one of the ultimate expressions of the scientific enterprise in action. And the same might be said of Hiroshima and Nagasaki, holding aside whatever might be said to justify the use of the atomic bomb to bring the Second World War to a speedy conclusion. In remaining close to the human lifeworld, science abandons the very capacity that makes us human, that makes human life and human consciousness unique. The story of modern science is in fact a story of shifting alliances. Science begins as a branch of philosophy, as natural philosophy. Indeed, philosophy itself is generally understood to begin with the pre-Socratics sometimes referred to as Ionian physicists, i.e., Thales, Anaximander, Heraclitus, who first posited the concept of elements and atoms. Both science and philosophy therefore coalesce during the first century that followed the introduction of the Greek alphabet and the emergence of a literate culture in the ancient Greek colonies in Asia Minor. And just as ancient science is alphabetic in its origins, modern science begins with typography, as the historian Elizabeth Eisenstein explains in her exhaustive study, The Printing Press as an Agent of Change in Early Modern Europe. Simply by making the writings of natural philosophers easily available through the distribution of printed books, scholars were able to compare and contrast what different philosophers had to say about the natural world, and uncover their differences of opinion and contradictions. And this in turn spurned them on to find out for themselves which of various competing explanations are correct, where the truthlies, so that more reading led to even more empirical research, which in turn would have to bepublished, that is made public, via printing, for the purposes of testing and confirmation. And publication encouraged the formation of a scientific republic of letters, a typographically mediated virtual community. Eisenstein notes that during the first century following Gutenberg, printed books gave Copernicus access to centuries of recorded observations of the movements of celestial objects, access not easily available to his predecessors. What is remarkable to consider is that the telescope was not invented in his lifetime, that the Polish astronomer arrived at his heliocentric view based only on what could be observed by the naked eye, by gazing up at the heavens, and down at the printed page. The typographic revolution that began in the 15th century was the necessary technological precondition for the Copernican revolution of the 16th century. The telescope as a tool to extend vision beyond its natural capabilities had not yet been invented, and was not required, although soon after its introduction Galileo was able to confirm the theory that Copernicus had put forth a century earlier. In the restricted literate culture of medieval Europe, the idea took hold that there are two books to be studied in an effort to discern the divine will, and mind: the book of scripture and the book of nature. Both books were seen as sources of knowledge that can be unlocked by a process of reading and interpretation. It was grammar, the ancient study of language, which became one third of the trivium, the foundational curriculum of the medieval university, that became the basis of modern science, and not dialectic or logic, that is, pure thinking, which is the source of the philosophic tradition, as Marshall McLuhan noted in The Classical Trivium. The medieval schoolmen of course placed scripture in the primary position, whereas modern science situates truth in the book of nature alone. The publication of Francis Bacon's Novum Organum in 1620 first formalized the separation of science from philosophy within print culture, but the divorce was finalized during the 19th century, coinciding with the industrial revolution, as researchers became known as scientistsrather than natural philosophers. In place of the alliance with philosophy, science came to be associated with technology; before this time, technology, and engineering, often referred to asmechanics, represented entirely different lines of inquiry, utterly practical, often intuitive rather than systematic. Mechanics was part of the world of work rather than that of action, to use the terms Arendt introduced in The Human Condition, which is to say that it was seen as the work of the hand rather than the mind. By the end of 19th century, scientific discovery emerged as the main the source of major technological breakthroughs, rather than innovation springing fully formed from the tinkering of inventors, and it became necessary to distinguish between applied science and theoretical science, the latter nonetheless still tied to the world of appearances. Today, the acronym STEM, which stands for science, technology, engineering, and mathematics, has become a major buzzword in education, a major emphasis in particular for higher education, and a major concern in regards to economic competitiveness. We might well take note of how recent this combination of fields and disciplines really is, insofar as mathematics represents pure logic and highly abstract forms of thought, and science once was a purely philosophical enterprise, both aspects of the life of the mind. Technology and engineering, on the other hand, for most of our history took the form of arts and crafts, part of the world of appearances. The convergence of science and technology also had much to do with scientists' increasing reliance on scientific instruments for their investigations, a trend increasingly prevalent following the introduction of both the telescope and the microscope in the early 17th century, a trend even more apparent from the 19th century on. The laboratory is in fact another such instrument, a technology whose function is to provide precisely controlled conditions, beyond its role as a facility for the storage and use of other scientific instruments. Scientific instruments are media that extend our senses and allow us to see the world in new ways, therefore altering our experience of our environment, while the discoveries they lead to provide us with the means of altering our environments physically. And the laboratory is an instrument that provides us with a total environment, enclosed, controlled, isolated from the world to become in effect the world. It is a micro-environment where experimental changes can be made that anticipate changes that can be made to the macro-environment we regularly inhabit. The split between science and philosophy can also be characterized as a division between the eye and the ear. Modern science, as intimately bound up in typography, is associated with visualism, the idea that seeing is believing, that truth is based on vision, that knowledge can be displayed visually as an organized set of facts, rather than the product of ongoing dialogue, and debate. McLuhan noted the importance of the fixed point of view as a by-product of training the eye to read, and Walter Ong studied the paradigm-shift in education attributed to Peter Ramus, who introduced pedagogical methods we would today associated with textbooks, outlining, and the visual display of information. Philosophy has not been immune to this influence, but retains a connection to the oral-aural mode through the method of Socratic dialogue, and by way of an understanding of the history of ideas as an ongoing conversation. Arendt, in The Human Condition, explained action, the realm of words, as a social phenomenon, one based on dialogic exchanges of ideas and opinions, not a solitary matter of looking things up. And thinking, which she elevates above the scientific enterprise in The Life of the Mind, is mostly a matter of an inner dialogue, or monologue if you prefer, of hearing oneself think, of silent speech, and not of a mental form of writing out words or imaginary reading. We talk things out, to others and/or to ourselves. That modern science, always hunting for manifestations of the invisible—atoms, molecules, particles, cells, genes—should have added to the world a spectacular, unprecedented quantity of new perceptible things is only seemingly paradoxical. In order to prove or disprove its hypotheses… and to discover what makes things work, it [modern science] began to imitate the working processes of nature. For that purpose it produced the countless and enormously complex implements with which to force the non-appearing to appear (if only as an instrument-reading in the laboratory), as that was the sole means the scientist had to persuade himself of its reality. Modern technology was born in the laboratory, but this was not because scientists wanted to produce appliances or change the world. No matter how far their theories leave common-sense experience and common-sense reasoning behind, they must finally come back to some form of it or lose all sense of realness in the object of their investigation. And this return is possible only via the man-made, artificial world of the laboratory, where that which does not appear of its own accord is forced to appear and to disclose itself. Technology, the "plumber's" work held in some contempt by the scientist, who sees practical applicability as a mere by-product of his own efforts, introduces scientific findings, made in "unparalleled insulation… from the demands of the laity and of everyday life," into the everyday world of appearances and renders them accessible to common-sense experience; but this is possible only because the scientists themselves are ultimately dependent on that experience. Seen from the perspective of the "real" world, the laboratory is the anticipation of a changed environment; and the cognitive processes using the human abilities of thinking and fabricating as means to their end are indeed the most refined modes of common-sense reasoning. The activity of knowing is no less related to our sense of reality and no less a world-building activity than the building of houses. Again, for Arendt, science and common sense both are distinct in this way from the activity of pure thinking, which can provide a sorely needed critical function. But her insight as to the function of the laboratory as an environment in which the invisible is made visible is important in that this helps us to understand that the laboratory is, in fact, what McLuhan referred to as a counter-environment or anti-environment. In our everyday environment, the environment itself tends to be invisible, if not literally so, then functionally insofar as whatever fades into the background tends to fall out of our perceptual awareness or is otherwise ignored. Anything that becomes part of our routine falls into this category, becoming environmental, and therefore subliminal. And this includes our media, technology, and symbol systems, insofar as they are part of our everyday world. We do pay attention to them when they are brand new and unfamiliar, but once their novelty wears off they become part of the background, unless they malfunction or breakdown. In the absence of such conditions, we need an anti-environment to provide a contrast through which we can recognize the things we take for granted in our world, to provide a place to stand from which we can observe our situation from the outside in, from a relatively objective stance. We are, in effect, sleepwalkers in our everyday environment, and entering into an anti-environment is a way to wake us up, to enhance awareness and consciousness of our surroundings. This occurs, in a haphazard way, when we return home after spending time experiencing another culture, as for a brief time much of what was once routinized about own culture suddenly seems strange and arbitrary to us. The effect wears off relatively quickly, however, although the after-effects of broadening our minds in this way can be significant. The controlled environment of the laboratory helps to focus our attention on phenomena that are otherwise invisible to us, either because they are taken for granted, or because they require specialized instrumentation to be rendered visible. It is not just that such phenomena are brought into the world of appearances, however, but also that they are made into objects of concerted study, to be recorded, described, measured, experimented upon, etc. McLuhan emphasized the role of art as an anti-environment. The art museum, for example, is a controlled environment, and the painting that we encounter there has the potential to make us see things we had never seen before, by which I mean not just objects depicted that are unfamiliar to us, but familiar objects depicted in unfamiliar ways. In this way, works of art are instruments that can help us to see the world in new and different ways, help us to see, to use our senses and perceive in new and different ways. McLuhan believed that artists served as a kind of distant early warning system, borrowing cold war terminology to refer to their ability to anticipate changes occurring in the present that most others are not aware of. He was fond of the Ezra Pound quote that the artist is the antenna of the race, and Kurt Vonnegut expressed a similar sentiment in describing the writer as a canary in a coal mine. We may further consider the art museum or gallery or library as a controlled environment, a laboratory of sorts, and note the parallel in the idea of art as the anticipation of a changed environment. There are other anti-environments as well. Houses of worship function in this way, often because they are based on earlier eras and different cultures, and otherwise are constructed to remove us out of our everyday environment, and help us to see the world in a different light. They are in some way dedicated to making the invisible world of the spirit visible to us through the use of sacred symbols and objects, even for religions whose concept of God is one that is entirely outside of the world of appearances. Sanctuaries might therefore be considered laboratories used for moral, ethical, and sacred discovery, experimentation, and development, and places where changed environments are also anticipated, in the form of spiritual enlightenment and the pursuit of social justice. This also suggests that the scientific laboratory might be viewed, in a certain sense, as a sacred space, along the lines that Mircea Eliade discusses in The Sacred and the Profane. The school and the classroom are also anti-environments, or at least ought to be, as Neil Postman argued in Teaching as a Conserving Activity. Students are sequestered away from the everyday environment, into a controlled situation where the world they live in can be studied and understood, and phenomena that are taken for granted can be brought into conscious awareness. It is indeed a place where the invisible can be made visible. In this sense, the school and the classroom are laboratories for learning, although the metaphor can be problematic when it used to imply that the school is only about the world of appearances, and all that is needed is to let students discover that world for themselves. Exploration is indeed essential, and discovery is an important component of learning. But the school is also a place where we may engage in the critical activity of pure thinking, of critical reasoning, of dialogue and disputation. The classroom is more than a laboratory, or at least it must become more than a laboratory, or the educational enterprise will be incomplete. The school ought to be an anti-environment, not only in regard to the everyday world of appearances and common sense, but also to that special world dominated by STEM, by science, technology, engineering and math. We need the classroom to be an anti-environment for a world subject to a flood of entertainment and information, we need it to be a language-based anti-environment for a world increasingly overwhelmed by images and numbers. We need an anti-environment where words can take precedence, where reading and writing can be balanced by speech and conversation, where reason, thinking, and thinking about thinking can allow for critical evaluation of common sense and common science alike. Only then can schools be engaged in something more than just adjusting students to take their place in a changed and changing environment, integrating them within the technological system, as components of that system, as Jacques Ellul observed in The Technological Society. Only then can schools help students to change the environment itself, not just through scientific and technological innovation, but through the exercise of values other than the technological imperative of efficiency, to make things better, more human, more life-affirming. The anti-environment that we so desperately need is what Hannah Arendt might well have called a laboratory of the mind. This is a pleasure to listen to, whether it's for Shabbat or a weekday. And feel free to sing along with the video—we won't tell anyone!